If you have the need to explore, the need to go somewhere different go to Scotland, better yet go to the countrysides of Scotland. I’ve never had a vacation more relaxing than when I went to Scotland. My wife and I had been busy with work and hadn’t ever really been out of the country except after our honeymoon when we went to London. The Scottish Countryside is by far the best place to have chosen. You can’t visit Scotland without enjoying the attractions of their famous lochs, and the most famous loch in the world is probably Loch Ness. Like your typical tourists, my wife and I visited for the sea monster hype but were seduced by the beauty of the loch and the Inverness area scenery, the charming small towns and villages, and of course the food. From black pudding and haggis to sea bass and scallops to curry and ratatouille, Inverness pubs and restaurants offer delicious and modern takes on a variety of cuisines. Be sure to check out your local cheese board! Try the soft Crowdie cheese or spicy Dunsyre Blue cheese if you’re feeling adventurous, and enjoy the tangy local cheddars for a Scottish spin on a familiar taste. In between satisfying your belly, satisfy your mind and body with some walks into and around the castles dotting the Scottish countryside. 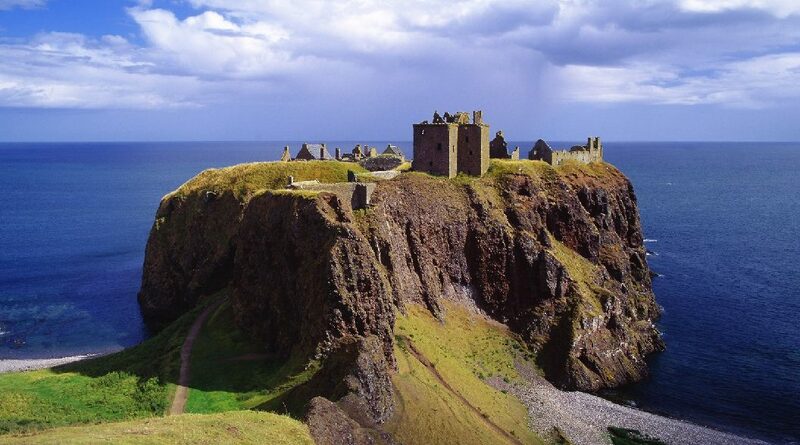 Scottish castles provided a strong defense against invaders in historical times, but today they are often known for having beautiful grounds and breathtaking views of the ocean or a nearby loch. You could do a month-long tour and still not see all of the castles in Scotland, but here are a few stand-outs that me and my wife loved. We did meet a few people which were all nice to the local tourist. Even one friend we met named Jordan. 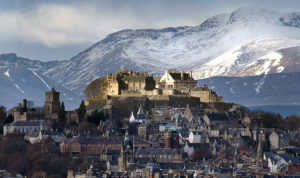 Which we soon found out was a famous actor in some films that were filmed in the states and lived in Scotland. But back to our journey thru the beautiful scottish countryside. 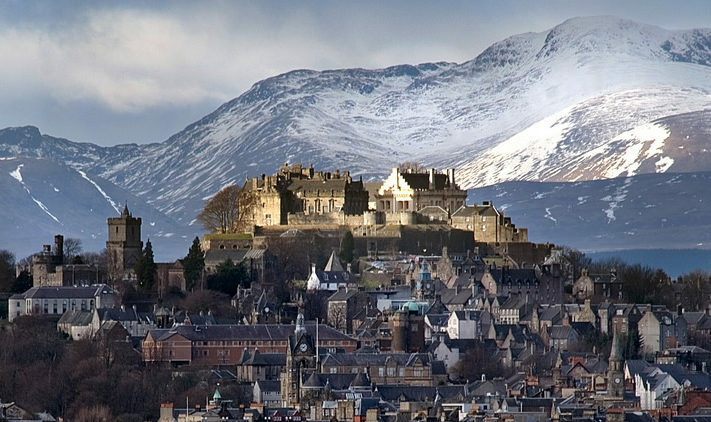 The enormous Stirling Castle: This castle gives visitors a chance to see the place where royals, including Mary Queen of Scots, lived in historical times. It’s also where bands like R.E.M. and Bob Dylan have filmed concert features! The relatively modern (17th century) Culzean Castle: This castle features a top-floor hotel and a world-renowned collection of swords and pistols, and it is also surrounded by a gorgeous 600-acre park. 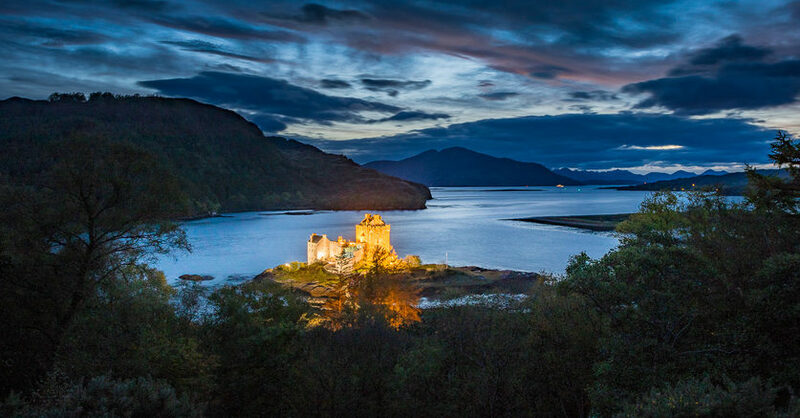 Eilean Donan: This castle, fully restored from ruin and located on a small island connected to the mainland, is the very image of a lonely castle from one of the spookier fairy tales. For those film buffs out there, it’s a must-see, having been featured in movies like Highlander, The World is Not Enough, and Elizabeth: The Golden Age. If you’re a fan of history or archaeology, Skara Brae is even older than Scotland’s castles. It’s a preserved village from 5,000 years ago! We went and were fascinated by the well-preserved insides of the historical houses. Did you know that Neolithic Man had gaming dice? I didn’t either. 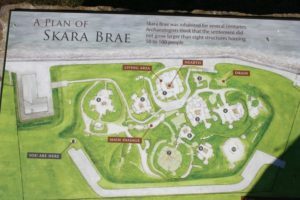 Skara Brae also offers a beautiful natural landscape full of wildflowers. Think about taking a picnic and eating in the same place as those Neolithic people did thousands of years ago! 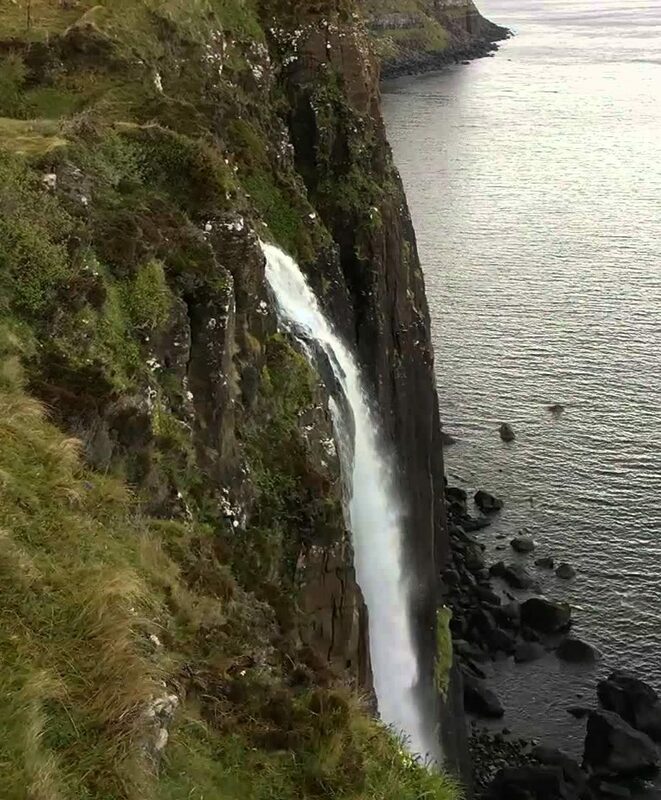 Rising over 290 ft, Kilt Rock is huge and magnificent, holding an almost amusing resemblance to a pleated kilt. The falls that cascade over this huge rock, led from the Mealt Loch, are a beautiful sight. When wind hits the holes in the hidden fence around the lookout point, the mountain begins to sing, turned into Skye’s own natural organ. 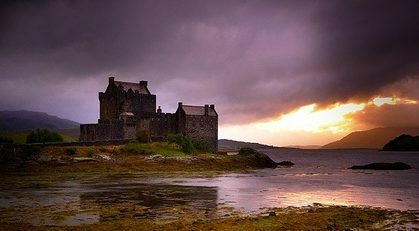 I personally thought the song that came out was eerie and a bit creepy, but my wife described it as “hauntingly beautiful.” If there’s anything you do while you’re in Scotland it should be to visit the Isle of Skye and see this land mass that looks like it was touched and made by some magnificent craftsman. After you’ve seen the waterfall, you can check out some of Skye’s excellent distilleries or visit Loch Portree to do some fishing (or just to make friends with some curious seals!). You’ll have to eat lunch somewhere while you’re in Skye, and The Three Chimneys is a restaurant that is both homey and grand at once. Inviting in both tourist and regulars is its specialty. Marked with a five-star reputation, The Three Chimneys embraces its roots and surroundings by using the sea in many of their courses. It has true Scottish authenticity, and it is truly a restaurant for those who love friendly fine dining. If we ever return to Scotland and Skye, we’re sure to go there again. We chose Scotland not just to get the pollution of the city out of our lungs, but to learn more about the way that others live and come home with a sense of wonder. There’s something magical about it! Maybe it’s the history there or the way that people welcome you with open arms, but if you’re going to select a place in the world to go, make it the Scottish countryside.